If you’re a secret late-night eater, you’ll love this – there’s a night market catering for all your nocturnal foodie needs. 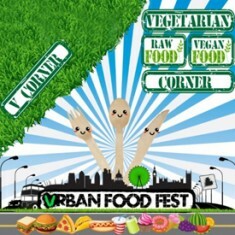 The greatest street food trucks and stalls will be serving gourmet global street food dishes, including Korean ramen burgers and sweet potato Kimchi fries, vegi tofu hot dogs and sauerkraut, double decker beef burger with cheese and tomato, Peruvian beef skewers and roasted corn, and Louisiana frogs legs. Need a drink to accompany your meal? 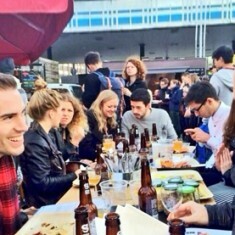 There’s a bar to hand serving craft beers and ales, specialist urban cocktails, niche ciders, mixers, prosecco and champagne. 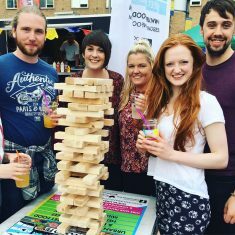 Urban Food Fest was founded by solicitor Jessica Tucker, with the premise of bringing the best street food night market to the capital. Downing giant-sized glasses of beer at Munich’s Oktoberfest is a temptation millions can’t resist. 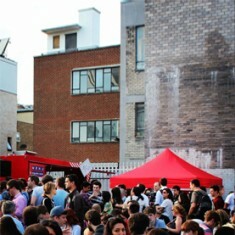 But if you can’t get to Bavaria why not head down to Shoreditch High Street instead? 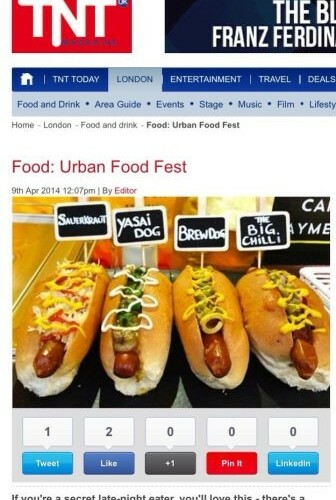 Wait, Shoreditch High Street? 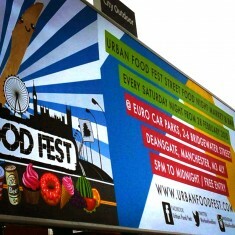 Yep, Urban Food Fest’s Okotoberfest is back. So what about the food? Well, there’s German bratwurst, pizza with Bavarian toppings, giant pork burgers, crispy fries with German sweet mustard, German beef wraps, Oktoberfest pulled pork rolls and much, much more. And that’s not all… There’s also traditional German music, seating areas, and girls dressed in dirndls and guys in lederhosen, as you’d expect. PS, there will be free cocktails for everyone in traditional Oktoberfest outfits! 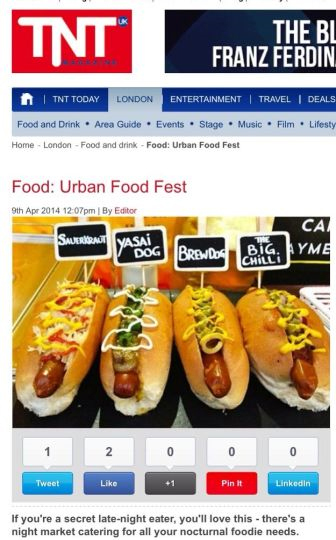 Urban Food Fest Shoreditch, London welcomes you to an ‘Alice in Wonderland’ themed street food night market & bar extravaganza on Saturday 28 March 2015. 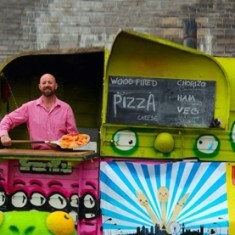 A fan of street food AND fancy dress? Us too. 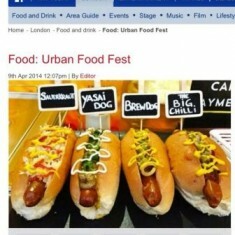 Which is why we’re loving the sound of Urban Food Fest’s upcoming ‘Alice in Wonderland’ extravaganza. 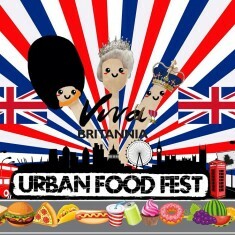 Taking place on Saturday 28 March, the Urban Food Fest street food trucks & stalls will be serving up a fantastical feast including ‘The Queen of Hearts’ Mexican fried chicken & black bean tacos, ‘House of Cards’ British veggie goats cheese & honey toasties, ‘March Hare’ South African curried meats bunny chow, ‘Mock Turtle’ Venezuelan shredded beef arepas, ‘Cheshire Cat’ Hungarian sticky pork belly roll & in the ‘V corner’ Alice’s vegan Sweet potato curry. The Mad Hatter’s magical desserts include Salted caramel s’mores, strawberry & nutella pancakes and custard tarts. The Fest includes the “Drink Me” premium bar serving craft beers, cider, international wines & prosecco alongside “The Rabbit’s Watering Hole” flowery cocktail bar serving unique cocktails such as the ‘Jabberwocky’ green tea and Duppy Share rum cocktail & ‘The Pink Flamingo’ gin and Fever Tree elderflower tonic cocktail. 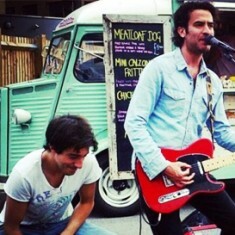 Plus ‘Wonderland’ live musicians and sharing tables. There will be a free ‘Alice in Wonderland’ cocktail or craft beer at the bar for everyone in Alice in Wonderland fancy dress.